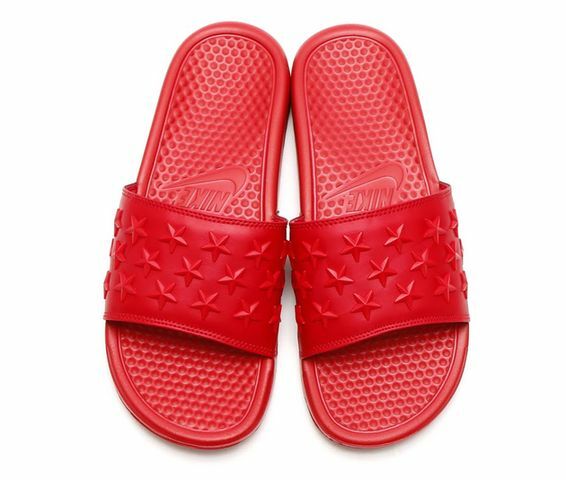 Nike’s signature Benassi sandal gets a July 4th make over for Independence Day in Blue, White and Red. 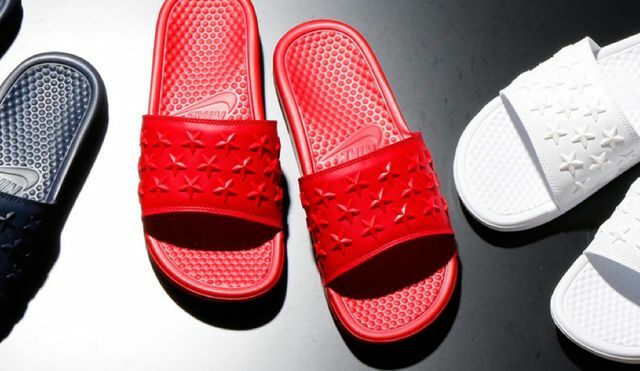 Done in excellent fashion, The Nike Benassi JD sports a Star Studded detail on the straps giving you an eye catching sandal for the Summer. 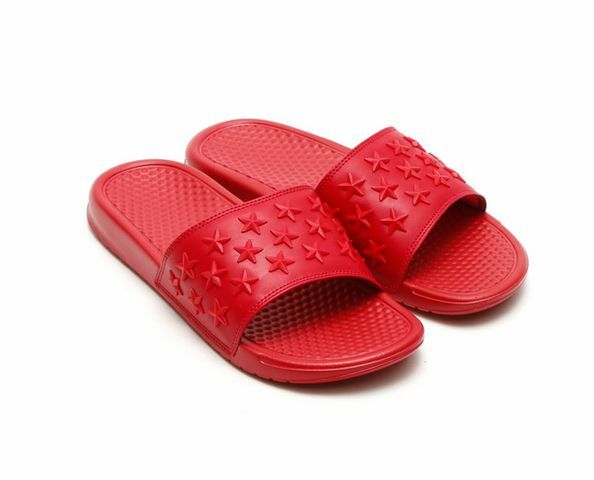 The Benassi will be available in three colorways – Red, White and Blue for those looking to stunt at those summer cookouts. 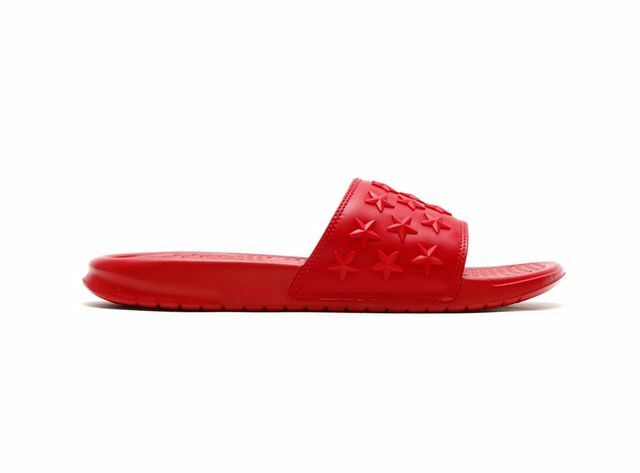 Catch these at a Nike Sportswear retailers near you.